What about addressing rake and trail on telescoping down tubes. Here is the easiest way I have found to do rake and trail. It does not get easier than this, in my book. 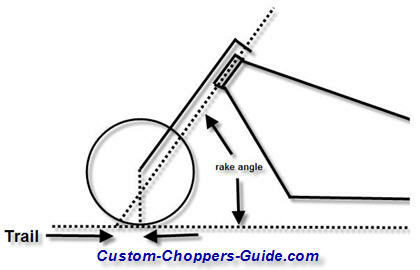 The only conditions you'd have to modify the axle plate in order to maintain proper trail would be if you have an extreme rake angle or a triple T that is not parallel to the rake angle. These are special cases and the Noor1 springer fork plans is parallel to the rake angle.